Chemspec Europe - Walking for Sue Ryder Care - "London's finest cleaning"
It’s great to see your suppliers working up a sweat especially if its all for a good cause. 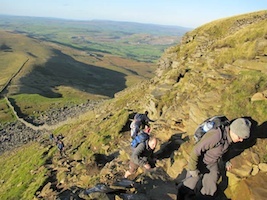 In this case it is the team at Chemspec Europe who are walking/staggering the Yorkshire 3 Peaks in aid of Sue Ryder Care. See the attached link if you want to know more or possibly donate.